Anthony Rizzo couldn’t help but watch as this fan put on a show. Back in June I wrote that having to chug your beer after a foul ball lands in it is baseball’s only good unwritten rule. I’d like to propose an amendment to that rule: If a player hits a ball into a beer, the player must turn and watch as the fan downs it. That’s what Anthony Rizzo did in the first inning of last night’s game against the Mets. After fighting off a Noah Syndergaard fastball, Rizzo turned to see where the ball went (I assume to make sure he didn’t hurt anyone) and kept looking long enough to see the guy finish off his drink. It must have been good luck for Rizzo, too, since he proceeded to hit an RBI double. This kid was invited onto the field at a French soccer game for a ceremonial kickoff and then he took off toward the goal, much to the delight of the fans. I didn’t that the reason they were cheering so hard is that the kid was there as part of a tribute to his dad, who was one of two people killed in a bus crash involving Marseille fans 10 years ago. Manchester United lost 3–0 at home to Tottenham yesterday, the largest ever home defeat for United’s Portuguese manager Jose Mourinho. The loss, which follows a 3–2 defeat at Brighton, has amplified calls to fire Mourinho—just three games into the season. But while the performance on the pitch left something to be desired, Mourinho’s postgame press conference could not have been better. After facing several tough questions about the blowout loss, the prickly Mourinho decided to remind everyone how great he’s been in the past. A small town in Florida is temporarily changing its name to “Miracle Whip” in exchange for some cash from Kraft Heinz, but the process might have been illegal. ... A golfer playing in a tournament in Canada this weekend was hit by a stray bullet from a nearby shooting range. ... A former English soccer player needed emergency surgery after a rat ate part of his foot while he slept in South Africa. ... Remember how this season was going to be different for the Browns? Now Hue Jackson is publicly calling out his defensive coordinator. @OBJ_3 hey man, you might not remember me but I’m your cousin on your great uncle Ray Ray side. Saw you at the family reunion in 03. Can I have some money? Congrats on the new deal. 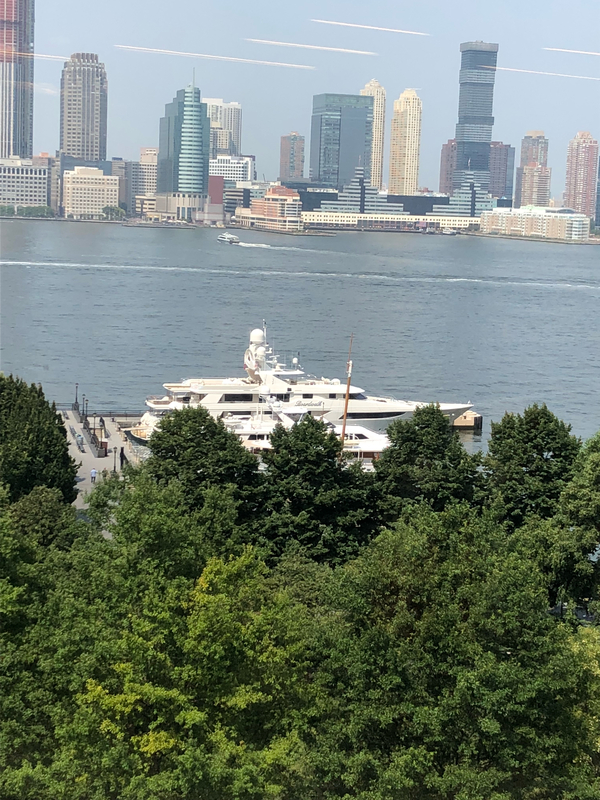 There has been a steady parade of lavish mega-yachts cycling through the dock outside our office all summer long. I usually like to Google the names of them so I can see how much they cost and how obscenely luxurious they are inside. (One, for example, cost $200,000 per week to charter.) Well, it turns out the one floating outside this week actually has a sports tie. The 164-foot “Boardwalk” is owned by Rockets owner Tilman Fertitta. I’m going to use this information to start some kind of NBA rumor.